A few years ago a friend’s husband died. She dreaded the first holiday season after his death. We are approaching the most difficult time of year for people grieving a family member or close friend. Holidays bring a stark reminder of the finality of death. Thanksgiving and Christmas had been the favorite time of year for my friend’s husband. Despite many struggles connected with his illness over the years, he always enjoyed decorating for Christmas and celebrating the holidays with his family. That first year, my friend wanted to just curl up in bed and ignore the end of November and the whole month of December. Her grown children on the other hand, insisted on doing everything exactly the way the family had done it over the years with their father. They wanted the Christmas tree and all the decorations inside and outside the house, the dinners, the cards, the music, everything. My friend went along with it for their sake, but she hated every moment. The celebration felt hollow and empty without her husband. The next year she knew she couldn’t participate in preserving the holiday season as though nothing had changed. Thanksgiving and Christmas would never be the same for her and her family without him. That’s when my friend started to be more intentional about how to face the holidays while grieving. The most important thing any grieving person can do is to plan ahead and make choices about how to face the holidays. The second year, my friend let go of some of the longtime family rituals, adapted the preparations and created new traditions to honor her husband and to accommodate the family at the present time. This kind of planning and change isn’t always emotionally possible during the first year, but family, friends, support groups and therapists can help. 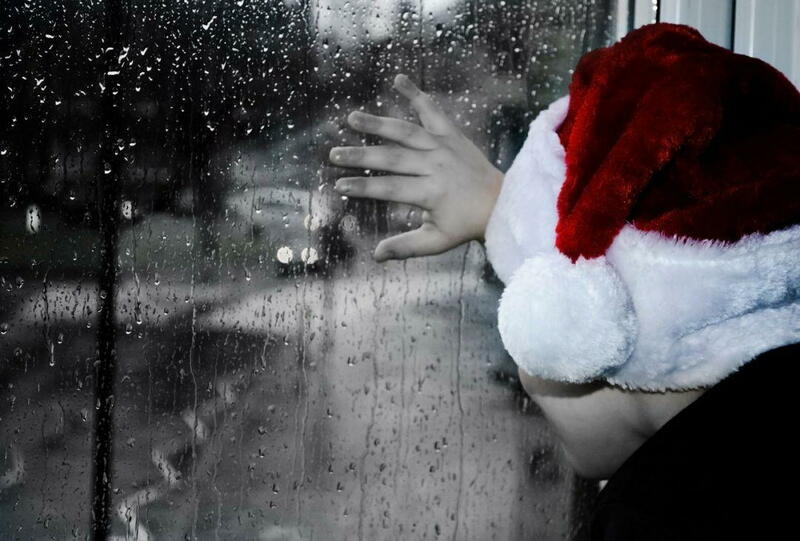 Here are three things to keep in mind as you face any holiday while grieving. 1) Acknowledge your grief. Don’t ignore the fact that things are now drastically different. The emotions of grief will be part of holidays and other special anniversaries after the death of a loved one. When you acknowledge the reality of the loss and the hole left in your life, you can begin to heal. 2) Accept your limitations and be willing to let go. Don’t force yourself into the midst of the hustle and bustle of life as usual. Life isn’t the same. Some traditions may be too painful or emotionally exhausting to continue. 3) Plan ahead. If you prepare ahead of time you will be less likely to be taken by surprise with a rush of overwhelming emotion that seems to come out of nowhere. Consider what will be helpful and what might not be helpful. Plan simple ways to honor and remember your loved one. It may be as simple as lighting a candle, meeting a close friend or family member for lunch, setting aside time to write a note to your loved one or attending a religious service. Or you may decide to create a new tradition. My friend decided to continue hanging her husband’s stocking every Christmas, but instead of filling it with gifts, the family writes notes to him and places them inside. Years later holidays still bring pangs of sadness and loneliness, but my friend has found some quieter ways to honor the blessings of her life with her family. What will help you care for yourself while grieving during this holiday season? ONE DAY HEALING RETREAT FOR WIDOWS, CLICK HERE. FOR MORE INFORMATON ON THIS TOPIC, THE BOOK MOURNING AND MILESTONES MAY BE ESPECIALLY HELPFUL.